Yesterday we discussed a bit about how we can be led to doubt what we know about the world. Today we continue on similar waters, but spoilers will come. You have been warned! Jack (Tom Cruise) is doing the cleanup service after humanity left Earth. He is nowhere as cool as Wall-E, but at least he is not alone. What he knows (or thinks he knows ) is that Eath fought a brave war against aliens and eventually had to relocate to Titan, while a ship called Tet was left orbiting the planet and commanding the cleanup crew (not their official name) that makes sure the resource harvest gigantic machines work properly. They are concerned because some mean aliens are still in the area and they want to blow up everything, ye of mean spirit. But something is going on that rattles Jack. He has some weird memories, some remembrances of a lady on top of the Empire State Building. Eventually he learns that his life is a lie, that the aliens he is supposedly hunting are in fact the only humans left on Earth. Nobody is living in Titan. And that big ship on orbit? THOSE ARE THE ALIENS!!! Wait, who is he then? Throught some events he comes to learn that he is not even who he thinks he is – the hard reality is that he is a clone, what he thinks to be true is false and he has to re-evaluate all that he thinks he knows. His co-worker/lover refuses to believe and is eventually desintegrated by the flying evil chubby eye. Now, what about the Gospel? When it comes to this kind of experience (see Matrix), we can easily compare this coming to the knowledge of truth to the comprehension of the Gospel. Let’s see – you live in a lie, you think you know who you are, who those weirdoes are, who is good, who is evil and your life is somewhat settled in such knowledge. And yet you somehow know things are not wuite what they should be, like a splinter on your mind (whoops). The same God who said “Let there be light”speaks into our hearts and there is light made inside of us to trust in Jesus Christ. When we come to this knowledge of truth, we also re-evaluate everything: our own place in the world, the claims of tuth we have been fed by this evil world and even the weirdoes who keep sayig they are the real humanity. It hurts! This process hearts. But there is life in it. Are You Jerry MaGuire or Rod Tidwell? 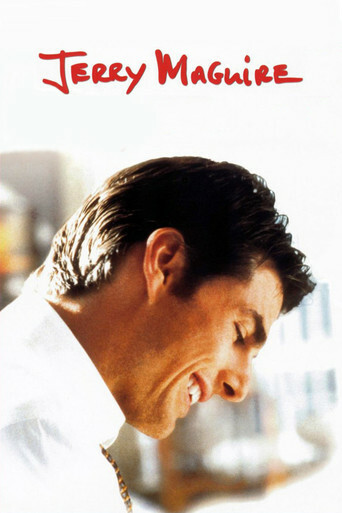 Jerry MaGuire is, by far, my favorite Cameron Crowe film and one of my all-time favorite films. Now, I must give the common disclaimer up front, Jerry MaGuire will not be a film everyone will enjoy. It has adult content and language that will be offensive to many, so approach this film with discernment if you plan to watch it. Jerry MaGuire (Tom Cruise) follows the story of a sports agent who has an epiphany and decides to invest more time in fewer athletes. What this ultimately means is fewer clients and less money. More time for each individual athlete, but this would mean more clients going to other firms, which is why Jerry gets fired…oops, spoiler. People applaud Jerry for his courage and honesty, yet all his co-workers and clients end up leaving him, except one Rod Tidwell (Cuba Gooding, Jr.). Tidwell ends up being Jerry’s only client, and one that is very very demanding. One who wants Jerry to show him the cash (did you think I was going to say something else?). Tidwell is your stereotypical NFL player that is completely arrogant and self-focused, which forces Jerry to ask the question was my epiphany correct? Were his thoughts of investing more time in individuals worth it, especially when one of those individuals is Rod Tidwell? Don’t get me wrong, Tidwell is charming and funny, but he is, nonetheless, annoying. And I would venture to say each of us have people in our lives like this. People that make us feel like we’re Jerry MaGuire. There are those people who are difficult to love and we feel that we sacrifice so much for them. Friends, co-workers, children, spouse, etc. I am out here for you. You don’t know what it’s like to be ME out here for YOU. It is an up-at-dawn, pride-swallowing siege that I will never fully tell you about, ok? Jerry has been constantly serving Tidwell, feeding his ego, telling him he’s the best, fighting for him to stay on teams, to get more money, and Tidwell has been fairly ungrateful about it. Not only that, but Jerry isn’t even getting paid to serve in this capacity. He is hardly able to provide for himself while he is constantly listening to his only client’s constant bickering. The truth is, Jerry MaGuire gives us a small glimpse at our Almighty God, except God does it with love and patience. God is constantly serving, always providing, long-suffering, displaying limitless love and sustaining us on this earth. Yet, we are Rod Tidwell. We feel entitlement. We feel that God owes us more. We complain, we worry, we show discontentment, we are unsatisfied, which all show that we are unappreciative of God and we doubt his provision. I think of Paul’s charge to do all things without grumbling or disputing (Phil. 2:14) and because Paul doesn’t just state imperatives without indicatives, this command comes on the heels of one of the greatest displays of humility in Scripture (vs. 5-11). Those verses describe, in excellent beauty, what Christ did for those he loved. He left his throne, took on flesh, and in all humility died for an ungrateful bunch of arrogant, unappreciative, complaining Rod Tidwells; i.e., you and me. You see, God’s job is an up-at-dawn, pride-swallowing siege that he will never fully disclose and we will never fully grasp, because he loves us. Jerry MaGuire’s love and patience ran out on Rod Tidwell (who can blame him). But our God is a long-suffering God whose love has no limit. I am not saying that God just overlooks our whining, complaining, arrogant, ungrateful, discontent lives that we live – he doesn’t like that. The reason he can love us is because His beautiful Son lived a life that was absent of whining, complaining and arrogance, so that we are now seen as living that same life. Not because WE did it, but because HE did it and credits that to us by faith. So the next time you start to whine, complain, worry, etc. be humbled by the example of our Savior that Paul points us to in Philippians. Jesus Christ, who had every reason to whine and complain, refrained because he loved to do the will of his Father and he joyfully offered his life to redeem an arrogant Rod Tidwell, like you and me.